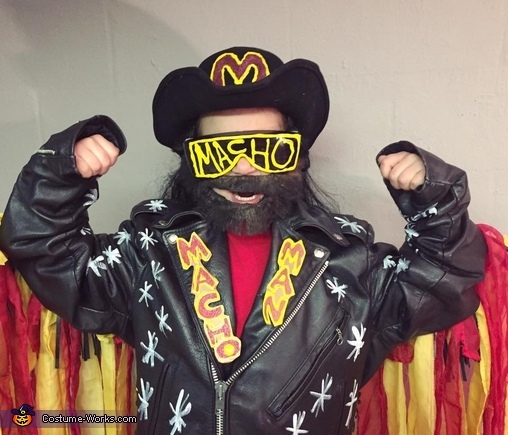 Macho Man/Randy Savage Fringe jacket and curtains, washable paint, cardboard and puffy paint!! Oooo yeah! Cream of the crop!